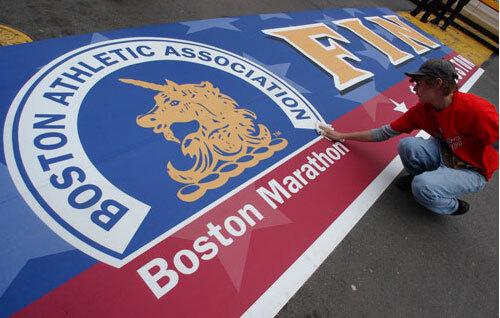 Monday March 1st and we are now just 7 weeks away from the Boston Marathon. When I think back to where we were 9 weeks ago at the start of this training cycle for the first of two marathons, it is pretty incredible to see how far we’ve traveled. Back on December 28th I was finishing up rehabilitation from my shin injury and starting our training plan with just 3 tentative miles. My shin splint issue was only about 90% resolved, but with 16 weeks to race day it was time to gradually start building mileage and strengthening legs that had taken close to a full month away from running. Since that first 3-mile run 253.25 miles have been covered during 36 training runs. 340 cycling miles have been logged over 25 rides. We raced at the 3M Half Marathon in January posting a Personal Best 1:32:13, continuing to move further and further away from our injury woes of November and December. 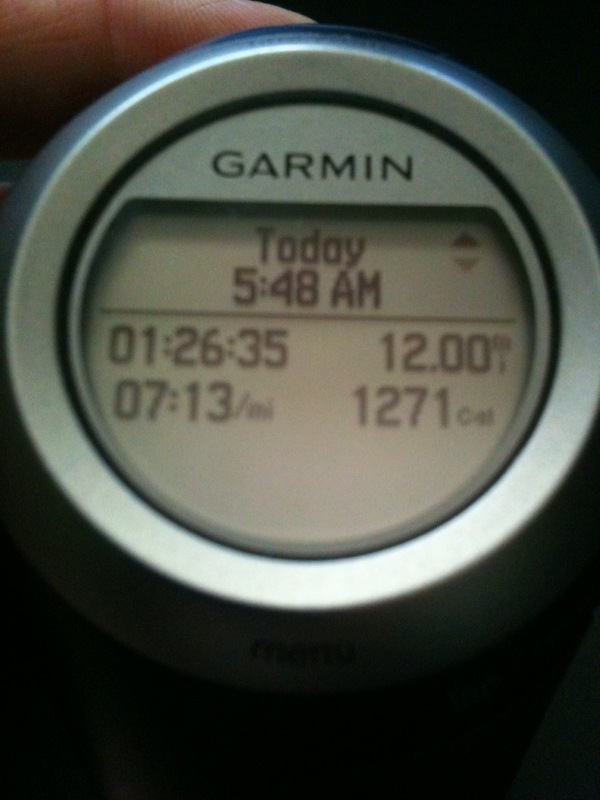 Today’s long run was scheduled for just 12 miles before another jump in mileage up to 19 next Sunday. This presented a great opportunity for a “fast finish long run”. I like to work in 3 or 4 fast finish long runs into the training plan before my 20-mile long runs appear on the calendar. Bring it on I thought. It was virtually a perfect morning for running long. 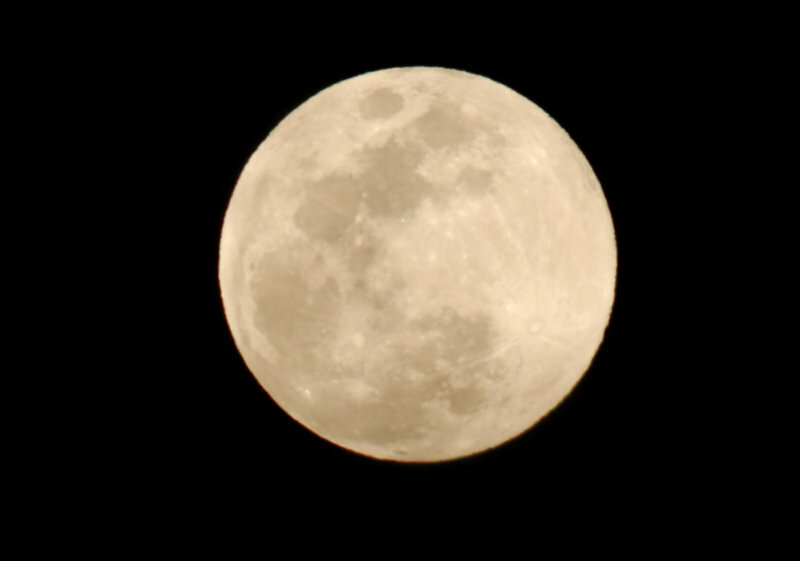 At 5:40 a.m. there was a temperature of 39 degrees, no wind whatsoever, and a full moon to help light the early morning trails. There are a lot of things I enjoy about being out early for my training runs, but this morning was really tough to beat. By 6:30 a.m. I could look over my left shoulder to see the full moon in the sky and off to my right on the horizon was the sunrise – great stuff. Today’s workout was very solid with mile splits at: 7:23, 7:13, 7:25, 7:20, 7:19, 7:22, 7:09, 7:03, 7:10, 7:14, 7:05, 6:47. Total time for my run was 1:26:35 (7:13 pace). Last year in training for Pittsburgh I posted a 1:30:10 for this workout at 7:31 pace. Now a couple things are important to remember – no two runs are the same so comparing a workout to a previous week, month let alone year can be very misleading. Another key point is that peaking for April 19th is the goal – not posting impressive splits in the month of February. Nobody will remember my 6:47 split on February 28th (including me) if I blow up at Heartbreak Hill in Boston or at mile 20 at Pittsburgh. That said, I do take pride in having a specific plan for today’s run and executing that plan throughout the training session. We still have a lot of ground to cover before we toe the line on April 19th and the weather in Boston on Patriot’s Day will play a major factor in our goal for that race – but it would be a great way to honor Dom by posting another Boston Qualifying time during the Boston Marathon itself. If history serves as a guide, less than 30% of the runners this year will accomplish the goal of running a “Boston Time” during this year’s race. I’d love to be one of them. I had a bit of a secret weapon this morning as well when I came over the footbridge that is 1.1 miles from our home. The unmistakable drum kick of Max Weinberg and the saxophone of Clarence Clemons from the E Street Band kicked of one of my favorite songs of all time to listen and run to. 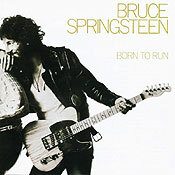 Springsteen’s Born to Run. Now growing up in the Philadelphia suburbs in the 1970’s and 1980’s certainly has had a little bit to do with my love for the Boss. I have in fact seen Bruce in concert 11 times over the years – but when it comes to running songs – Born to Run is pretty tough to beat. I run to music during all of my training runs as well as most races I have competed in. (I am considering running Boston without music to take in the spectacle for all it is this year …) But for me there is really something about pushing through a difficult hill or a challenging portion of a training run to an inspiring beat. I am going to be putting together a new playlist for my 19 and 20 mile training runs that I have the next two Sunday’s this week. Sometimes you just have to pinch yourself …. The elite field for the 114th running of the Boston Marathon on April 19th was announced on Wednesday. Defending champs Deriba Merga and Salina Kosgei return as well as prior Boston winners Robert Kipkoech Cheruiyot, Catherina Ndereba (Catherine the Great), Dire Tune and Lidia Grigoryeva. The Boston Athletic Association (BAA) has also put together a top field of Americans, including Ryan Hall, Meb Keflezighi, Josh Rohatinsky, Antonio Vega and Jason Lehmkuhle. The women’s field will include top runners Teyba Erkesso, Yurika Nakamura, Weiwei Sun and Agnes Kiprop. Just thought I would sneak that last Male Elite runner in there to see if you guys are really reading along! The reality is that the top elite men will be finishing the course about the same time I am reaching mile 17 – but just being part of such an incredible event is going to be an amazing experience. In fact 2010 is shaping up to be full of amazing events. Back in January I had posted my goals for the upcoming year – and at the time I had mentioned that I had a “surprise” lurking off in the distance – well this week I received clearance from the boss (superwife Dawn) that it was o.k. 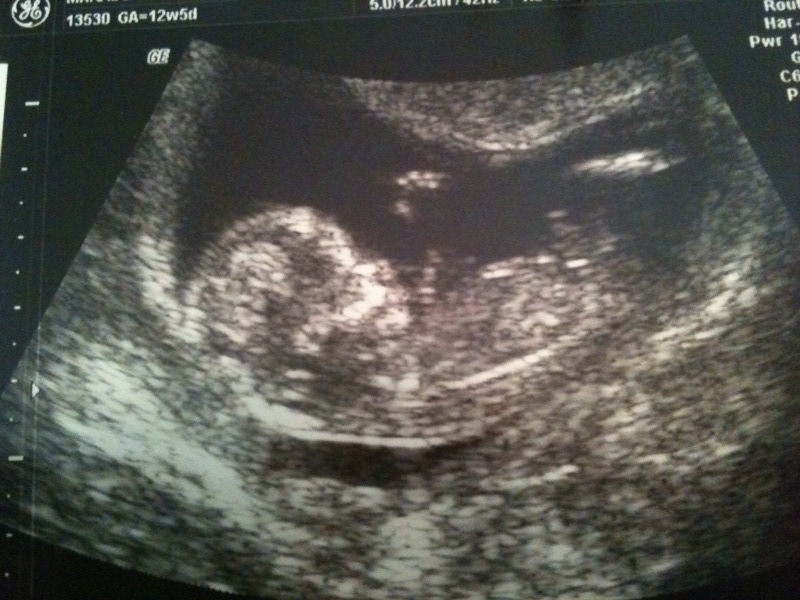 to share with all of our Run for Dom friends that we will be expecting our first child in September. Kayla .... not too sure about this "kid thing"
At 42 years old I thought it was wise to get this first one out of the way early while I was still young — but seriously, my wife and I could not be happier as this is something we had been hoping for for quite some time. I have a lot to learn in a short period of time – so if anyone out there has a 28-week training schedule that I can put on my refrigerator I would be eternally grateful! I apologize for being a little cryptic about my race plans after the summer for those of you who were asking – now you know why. 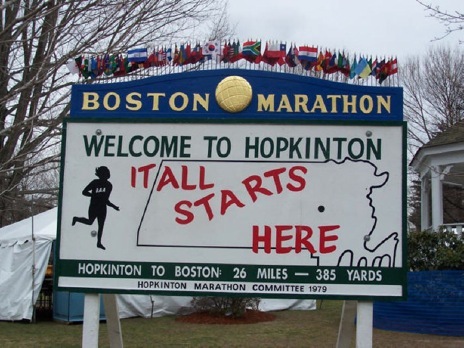 But I must say that the thought of getting back to Hopkinton for the 139th running of the Boston Marathon in 2035 with my son or daughter is a pretty cool prospect. The best part is I will only have to run a 4:15:00 time to qualify! Christmas comes early to Run for Dom! As the alarm clock sounded at 5:45 a.m. Tuesday I could hear a lot of “noise” outside. Wind blowing, rain falling and a quick 4-mile run on the schedule. Tuesday’s are days where we get to push the pace a bit and “run fast” – so I knew I wouldn’t be out in the elements very long – but all things considered I would have preferred a mild morning with 50 degree temps. Instead it was 31 degrees, rain falling and a lot of wind blowing in from the North – fun times. After a quick first mile I decided that it was simply too wet and nasty to head down to the trail – so I would simply knock out the 4-miler on our neighborhood streets. After a Sunday long run I like to stay off of hard surfaces during my next run – but the weather just wasn’t cooperating today. As my Garmin beeped to mark the end of the first mile I hit the swithback that sends me back toward our home and I noticed that the “rain” that had been at my back was now a bit more biting as it was hitting my face. In fact it wasn’t rain at all any longer – it was small icy projectiles – could it be? Was it actually snowing? I have to say that I really don’t take the local weather forecasts very seriously when they talk about snow or ice as it simply doesn’t snow here in Austin. Any chance of it tends to get our local meteorologists a bit too “excited”, but this morning it appeared that they had it right. Amazing. I turned on the jets during the last couple of miles and wrapped up my “Ricky Bobby” workout http://wp.me/pHGel-9M in 28:24 (7:06 pace). My last mile ticked by at 6:58 – good stuff. 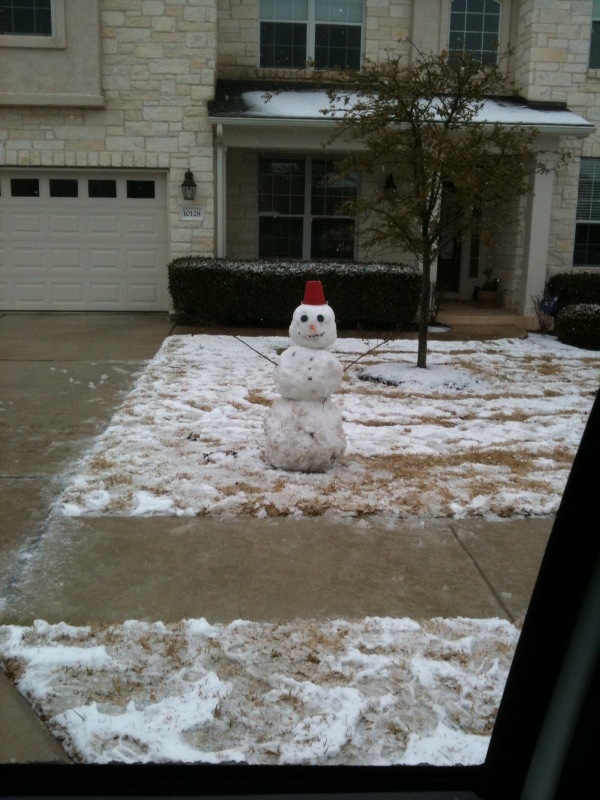 Austin Snow Man - Really? 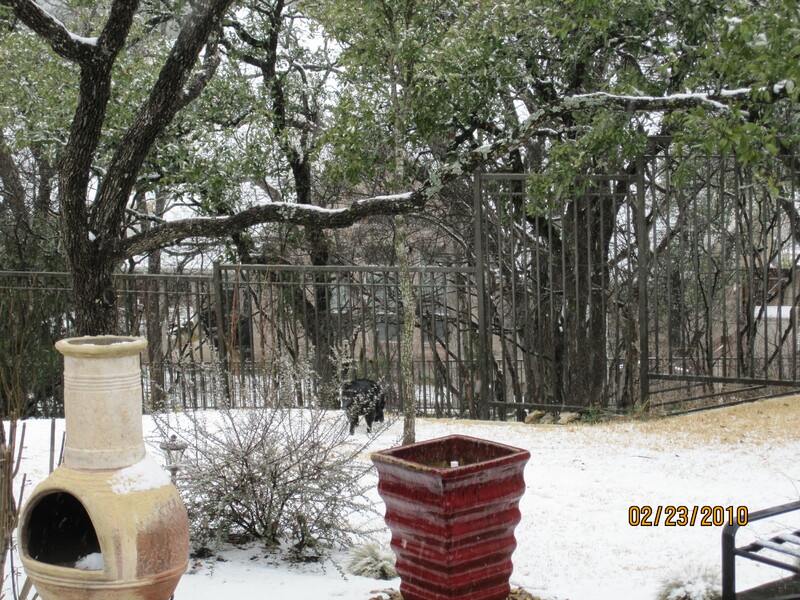 The snow kept falling and falling throughout the day giving Austin the most snow accumulation since 1985. When I pulled into the neighborhood early this evening I actually passed several snowmen in our neighborhood – the most impressive almost 3 feet tall. Now – I know the Northeast has been absolutely hammered this year with one snowstorm greater than the next – but this is “big-doings’” around these parts let me tell ya’. Snowball fights just don’t happen very often in Austin. New Gear from Under Armour - Score! At dinner time another surprise greeted me as the doorbell rang and FedEx had delivered a package addressed to Run for Dom. 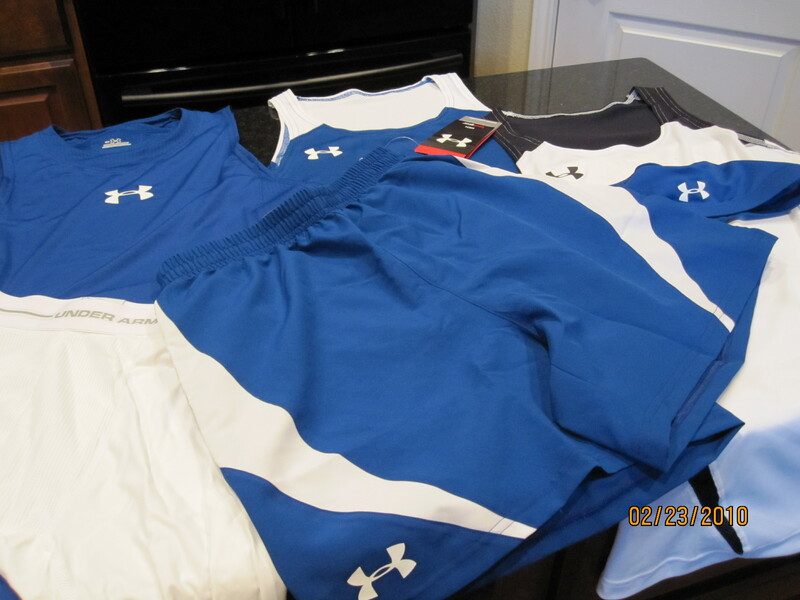 The return address was from the folks at Under Armour – SCORE! New Gear. Being a huge fan of Under Armour apparel – a few weeks ago I had reached out to them to ask if they were interested in supporting Run for Dom. After filling out a brief survey of sorts sharing the focus of our effort and the story behind Run for Dom, Under Armour was very gracious in getting back to me. They told me that they would be happy to extend a sponsorship offer allowing me to order anything from their website or catalog at a 40% discount, how great is that! I was able to load up on some great running gear, (new singlets, shorts, skull cap) and a few pairs of my absolutely favorite product – their “runderwear”. A lot of runners struggle with whether to wear underwear under their running shorts, if so, what kind and especially at the marathon distance, how to avoid painful chafing. I tell everyone that I talk with about the subject that Under Armour’s “runderwear” and a little bit of body glide solved that issue for me 100%. Great, great product. So we had an early Christmas here in Austin this week with snow and everything! Had I known better I should have ordered another one of those arctic beanies from UA that I like so much. To the folks at Under Armour – thank you for your generosity, your running apparel is unmatched as far as I am concerned, and your customer service is pretty great as well. Welcome to the Run for Dom team – I’ll be proud to race in your gear at Boston and Pittsburgh to honor my close friend Dom. Happy Holidays everyone! Two months. Not a lot of time. When I crossed off this past Sunday’s 17-mile training run from the schedule I took a peek at what was ahead. I actually try not to do that too often when I am training for a race because a lot of things can happen – many of them not good. You can suffer a freak injury, catch a cold, step in a hole on a dark morning. I’ve even slipped and fallen when a neighbor’s sprinklers went off in the middle of the night and the water froze on the street in front of their house – Ouch. 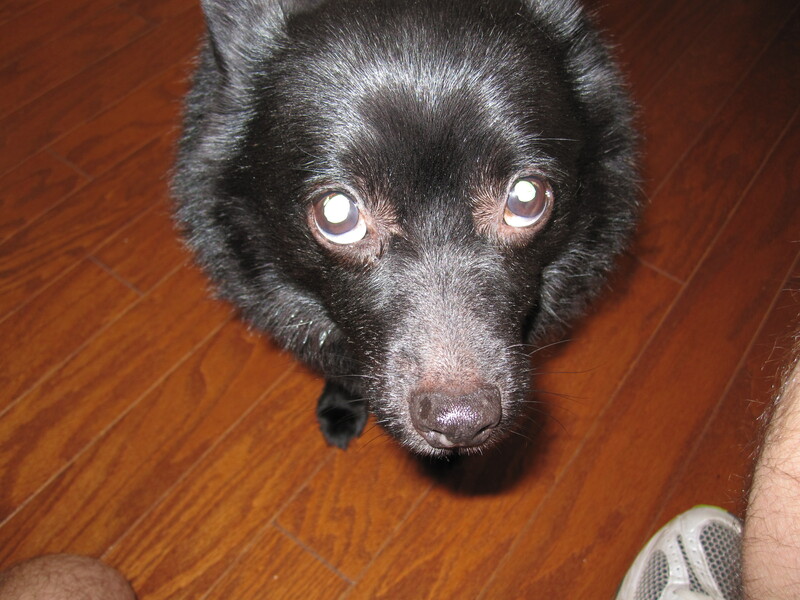 But mostly I try not to look ahead because the fact of the matter is, I am a little superstitious. It started back in middle school where I only wanted to wear the number 11. I even bribed a fellow teammate in High School to make sure I kept the number all four years. To this day I always put on my left sock, then my right followed by my left shoe, then my right. Yup, even this morning. I figure, why take any chances? But this Sunday I did peek ahead and noticed that I only had three training runs that I would consider “long” before the Boston Marathon remaining. 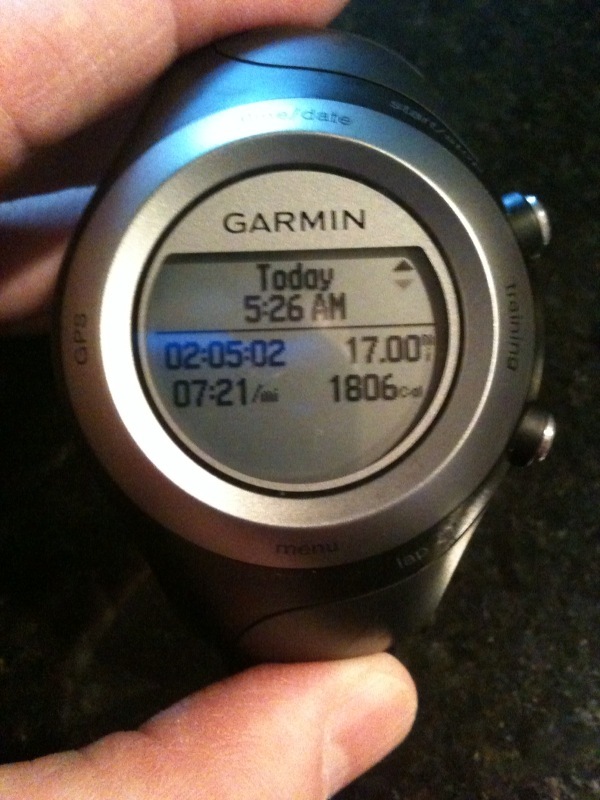 19 miles a week from this coming Sunday followed by my first 20-miler the next week. After another step-back week I will have my second 20-mile training run, followed by a three-week taper to Boston. I realized this weekend that time is of the essence. It is time to really focus in on what we need to accomplish over the next 8 weeks to peak on April 19th. 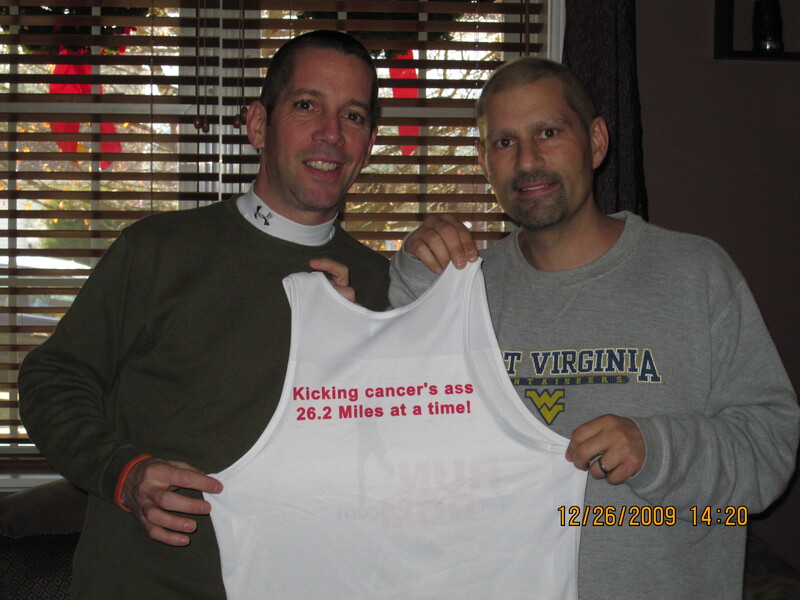 Just 13 days later it will be time to toe the line once again at the Pittsburgh Marathon honoring my good friend Dom and hopefully make a big difference for Dom and his family as he continues to fight this terrible disease. Tick tock, tick tock, tick tock. It’s funny that from time to time every one of us starts to take things for granted. Even those of us who are supposed to “know better”. What I didn’t realize at the time was that Lara was going to help me in more ways than just sharing our story. Lara, who is a fabulous writer, found a way to really tap into what RFD is all about. She had me looking at something that I had been living for more than six months day in and day out in a completely different light. Lara, I need to thank you as you were able to really get me dialed back in to what is important about RFD. It’s not about mile splits, personal records or training runs. It is about showing up and giving my absolute best effort every day between now and May 2nd to honor a close friend literally in the fight of his life. Finishing is what it is all about. It is O.K. to look ahead, in fact it is empowering! With 32 training runs remaining before Boston covering 255 miles I can’t wait to run every single one of them to the best of my abilities that day. There are sure to be easy miles and difficult ones. There will be clear skies and rain. Certainly there will be calm winds and blustery mornings. Regardless, each and every one of them is special, each one is in fact a gift. Embrace them all I say, because they are all part of the journey that started back in August – possibly even further back than that. Maybe they started over15 years ago when a couple of guys met who were supposed to help each other make some sense of this craziness we call life. Maybe looking ahead isn’t such a bad thing afterall, maybe that is the perspective that I had been missing. Thank you Lara – you are a great, great friend for pointing the way. Your site talks about “running toward wisdom” – I had no idea just how right you have been all along. If you would like to help RFD or even sponsor one of the remaining 15 miles at the Boston or Pittsburgh Races, please visit http://www.runfordom.com/donate.html or click on the how you can help link in the right sidebar of this page. This is the part where I need some help. For those of you who have sponsored a mile or are planning to do so – I will absolutely do my very best to make you proud and leave nothing on the course that day. There are very few guarantees in life, but this is a promise you can count on. 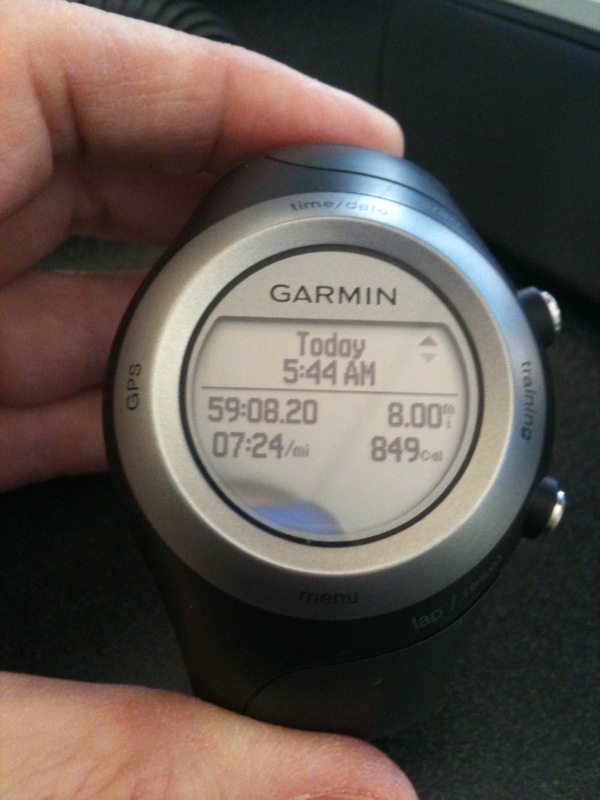 Monday morning marks only 8 weeks to go before race day in Hopkinton, MA – April 19, 2010. Back in December when training resumed after struggling with my shin injury it seemed like I had all the time in the world to prepare for the first of my two marathons. Waking up this morning to a light rain here in Austin with a 17-mile training run ahead of me I realized race day was rapidly approaching. The focus of Sunday’s run would be to continue to stretch the long run mileage to build more strength and endurance in those legs of mine, but also to focus on some serious hill work. I’ve written in the past about the Boston course being very unforgiving. If you want to handle Boston you have to be equally adept and running downhill without destroying your quadriceps muscles as well as being prepared to run several up-hill miles when your legs are fatigued (Miles 16-21). I have been focusing these last few weeks on practicing “even effort” during my long runs each mile instead of focusing on “even pace”. Nice even mile splits ticking along at virtually identical pace look great on your training log – and during my mid-week runs over relatively flat terrain that is exactly what I strive for. But on my long runs I am trying to work on taking up-hill and down-hill sections exerting the same amount of effort and allowing the terrain to determine my splits. If I pick up :10-:15 seconds going downhill and sacrifice :10-:15 seconds over the uphill sections of my run I know at the end of 26.2 miles I will wind up right on time without “blowing up” at mile 21’s famed Heartbreak Hill. With a light rain falling throughout the run and 53 degree temperatures, it was almost a perfect morning to go long. A rain like today’s is very refreshing and can help keep the body cool throughout the course of a long run. I was smart to grab my running ball-cap on the way out the door to keep the rain (and later sweat) out of my eyes which made all the difference. Total time 2:05:02 at 7:21 pace – which was a very strong effort – in fact faster than the pace of my Chuy’s 8-miler http://wp.me/pHGel-bn earlier in the week. I still shutter a bit reliving that training run. One year ago at the same 17-mile distance I posted a 2:06:50 at 7:28 pace on my way to posting a PR at the Pittsburgh Marathon and a Boston Qualifying time of 3:17:43. It appears that the drop down to 4 run days per week from 5 last year but adding 3 cycling days as cross-training is delivering the desired result of added strength, power and greater endurance. After three straight weeks of challenging Sunday long runs (14.5, 16 and 17 miles) we enter a “step-back” week. This is the time in the training schedule where I decrease mileage for a week to let those leg muscles rebound a bit and then move forward with 19 and 20 mile long runs two and three weeks from now. It is a critical component of the marathon training plan to get your scheduled rest. Without taking a step back every few weeks you will only be breaking your body down without giving tired muscles a chance to adjust to the increased training intensity in order to grow stronger. So this week will feature a couple of shorter mid-week runs and a long run of just 12 miles this coming Sunday. So what will I do with all that extra free time? Research. 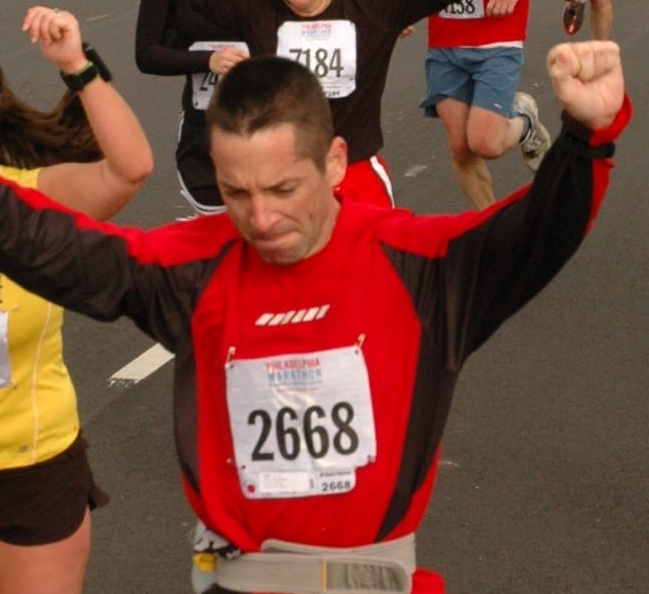 I feel like one of the greatest advantages a marathoner can have over a course is experience. It is one thing to know that there is a difficult mile approaching with a large hill or at tough rolling section. It is quite another to have seen it. Better yet is to have raced it. Unfortunately for me at Boston I will not have the luxury of having competed on the storied course in the past. I will have to rely on others for their experience to be my eyes, ears and legs for me. As I have said on many occasions in the past my mantra come race day is “No Surprises”. The book pictured above was written by Raymond Britt. Raymond is Managing Partner at WinSight Ventures, publisher of RunTri.com and one of the most experienced endurance athletes in the world. He’s completed 29 Ironman Triathlons – 2.4 mile swim, 112 mile bike, 26.2 mile run, 48 Marathons, 8 Ultramarathons – 31 or more miles, and more than 60 other triathlons and running races. Most importantly for me is Raymond’s experience at Boston where he has completed 13 consecutive Boston Marathons. The book covers everything that Raymond has experienced over the years from the athlete’s village to the finish line. 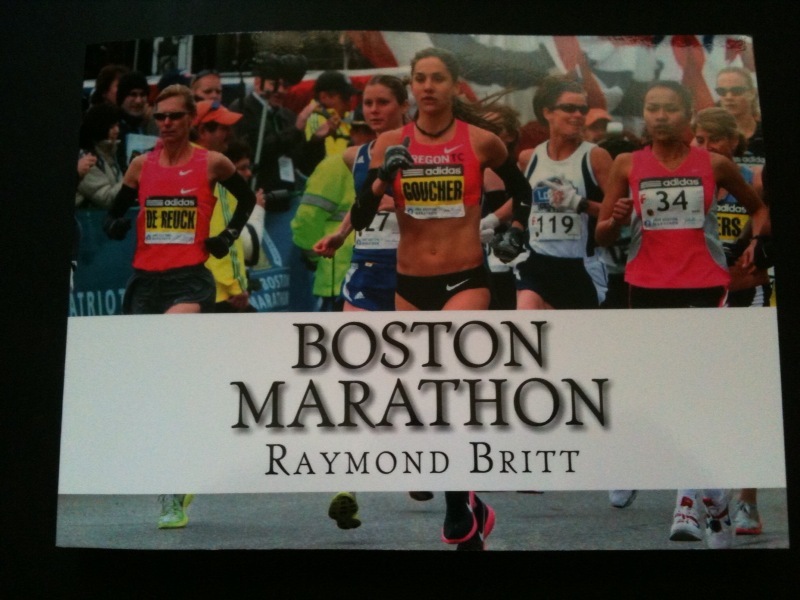 The book is filled cover to cover with course photos as well as Raymond’s commentary about each mile along the course. I can hardly wait to dive into this book to mentally download every image that I can between now and April 19th. We plan on showing up in Hopkinton in 8-weeks not only physically prepared for the rigors of the course, but mentally ready as well – No Surprises. Pre-run nutrition …. Damn you Chuys! Everyone has heard of the Freshman-15 right? You remember, you go away to school, start subsiding on cheap pizza and even cheaper beer. You sleep in late, sometimes all day and by the time you make it home for Winter vacation – Wala! you are 15 lbs. heavier. Since everything is bigger in Texas we have something here known as the Texas Twenty. We do quite a few things really well here in Texas – Rodeo, pitching washers, two-stepping, football – most definitely football. But there are very few things we do better than Barbeque and Mexican food. When a transplanted Yankee like myself arrives we just can’t control ourselves. It took me no time at all to put on that Texas Twenty – and boy was it fun. But after getting serious about running in 2006 it was time to take a hard look not only at workout schedules and training runs, but also at the fuel that I was putting in my body. I was able to cut out a lot of things with relative ease – Coca Cola, Fast Food, French Fries, (virtually all fried things actually). Combined with my increased running mileage I was able to remove that Texas Twenty + another 19 lbs. to arrive at my current race weight. But just as Superman has his Kryptonite, Werewolves fear silver bullets and Vampires avoid garlic – such is my weakness for Mexican food. 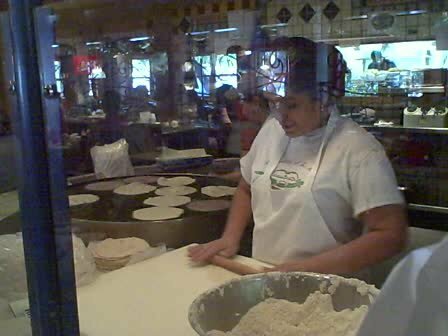 Living in the Northeast I really never fully appreciated authentic mexican food – I honestly could take it or leave it. 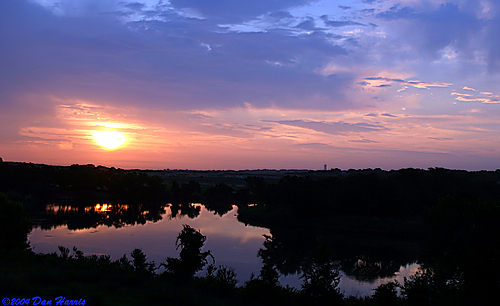 But after only a few months in Austin – I had found my kryptonite. Cheese Enchiladas, Tamales, Chile Con Queso, Flautas, Burrittos, Homemade Guacamole …. man, is that good stuff! For the most part I can keep the lid on the jar and behave myself when I have long or important workouts on the schedule. I focus on eating the right things the night before to provide the proper fuel for my run. You guys know the drill right? Carbohydrates like pasta and potatoes, vegetables, fruits, whole grains. In addition I pay close attention to my hydration level not only during my runs but the day and especially night before. This makes a huge difference in your performance. I know this. No excuses. But on Tuesday night this week on the eve of an 8-mile pace run I had some colleagues visiting from out of town. Traveling into Austin from Denver, Richmond and Boston respectively – they were looking foward to some authentic Mexican food. At 6:00 p.m. we entered the Lion’s Den …. Chuy’s. I had not seen this group of friends for awhile and as the homemade chips and salsa (that are actually self-serve out of the trunk of an old car) were consumed along with copius amounts of a lager type beverage …. I knew I was in trouble. “It’s just one workout” – I told myself. “Only 8-miles how bad could it be?” Well 11 hours later as I was lacing up my new Asics Gel Kinetics for my morning run I was about to find out. 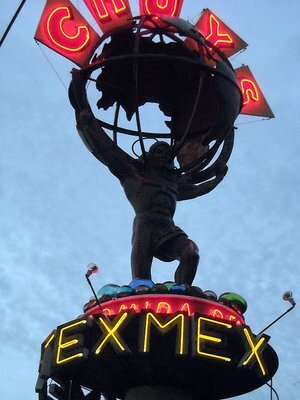 The Chuy’s 8-miler was completed in 59:08 at 7:24 pace. Miles 1-3 were basically “all right”. I didn’t feel tremendous by any means, but I was keeping it together pretty well. Miles 4 through 8 however were gut-check time. It was a struggle just to keep moving at my usual pace. I found myself thinking negative thoughts about the sport that I love and question my desire to keep moving. Me! Unbelievable. As I worked my way back up the last hill leading back to our home all I could think about was finishing the run. Disgusted with myself I walked inside, crossed the 8-miler off my schedule on the “Magic Fridge”, quietly cursed myself as well as the dreaded Chuy’s and moved on with my day. Well this morning was a day of redemption for me. Another 8-mile pace run stared me in the eye and today was going to be different. Same route, same plan for the run which was to focus on even effort over the hilly course, not necessarily even mile splits. Which is what I am working on right now leading up to the Boston Marathon which features long stretches of both downhill and uphill miles. Trying to run 26 consecutive miles at the same pace is very unrealistic given the course – so instead I am focusing on exerting 7:25/mile effort. This will allow me to hopefully achieve my goal of averaging 7:30/mile over a very hilly and challenging course. For every 7:15 downhill mile I can count on an uphill 7:45 to balance my overall pace. This morning with a much better pre-run meal last night of Ahi Tuna I covered the same course at a 7:19 pace, :05 seconds per mile faster. So if you were every wondering how much time is lost by poor pre-run nutrition – it appears to be :05/mile. All things considered that seems like a small price to pay for the Chuy’s Chicken Enchiladas with Green Chile Sauce, rice, refried beans, chips, salsa and guacamole. I think I’ll stick to Pasta and bread on April 18th however. I don’t know where any authentic Mexican restaurants are in Boston anyway …. I wanted to thank everyone over the past few weeks who have visited the blog and asked such thoughtful questions about my training plan for this year’s RFD “double”. Training for two marathons just 13 days apart has definitely required me to take a long look at my preparation. I have incorporated new workouts, increased cross-training to three days per week as well as added new elements to my traditional runs. Previous posts that have discussed tempo runs, traditional long runs, fast finish long runs, pace runs and racing as a part of marathon training. I have included links to those previous posts at the bottom of this page for your review. 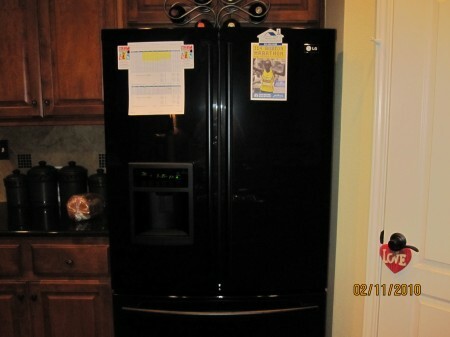 Ever since the “Magic Fridge” http://wp.me/pHGel-a4 post I have had a lot of requests for a copy of my actual training plan. Ahhh, the famed training schedule. 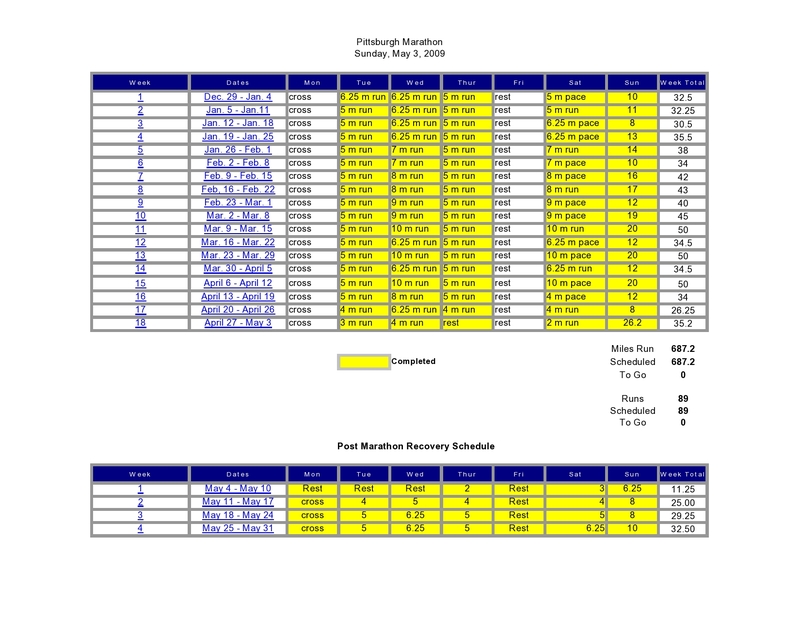 When I started training for my first ever marathon back in 2006 and I poured over schedule after schedule trying to find the similarities and differences between all of the online experts. I remember thinking to myself, who is going to give me the best chance to finish that first marathon under 4 hours? I knew picking a training plan was going to be a very important decision for me as with my travel schedule and lack of previous running experience there was a lot of “knowledge” I simply needed without an easy way to acquire it. I didn’t have a group of experienced matathoners to rely on for advice, nor was I connected to a great group of runner friends like I am today through Daily Mile, Twitter and this blog. My first marathon was going to be a true solo mission – and I was fine with that. I just wanted to know that I was relying on a schedule that was tried and true. A plan – that’s what I needed, a plan. I eventually landed with Hal Higdon. Hal had run more than 75 marathons himself and had been guiding marathoners to their first race finishes as well as Boston Qualifying times for decades. I read Hal’s books, downloaded his training schedule and ran each workout religiously to a 3:58:08 finish in my first race. In hindsight the finish was pretty remarkable as I was suffering with an IT Band problem over the final 14 miles that would land me on the disabled list for close to 3 months afterwards. Please keep in mind my injury had nothing to do with Hal’s program. His advice about increasing mileage incrementally, taking your rest days and honoring step-back weeks is all 100% spot on in my opinion. I simply suffered a all too common training injury at an inopportune time making for a difficult first marathon experience. Upon recovery however the bug had bitten. I was coming back and I was going to make a run at a Boston time, it was on. I took the entire 2007 year away from racing to focus on building mileage base running 5 times a week. I would begin training for my next marathon in late 2008 focusing on an early spring 2009 marathon that would get me to Boston in 2010. I incorporated strength training 3 times per week beginning on my 40th birthday in 2008 which I still continue today. I focused on strenghtening my core, legs, chest and arms as well as learning a lot about distance running through trial and error. Incorporating all of these elements to my schedule really helped prepare me to train hard for Pittsburgh last year. Results were a new PR of 3:17:43 and a Boston Qualifying time in only my second attempt at the Marathon distance. I say all of that to preface the schedule that I am sharing with you below. I do not think that I have it all figured out by any means. I simply kept tweaking and finessing the edges of popular training plans and created my own tracking device. I feel like the plan I am following today allows for the proper amount of rest, base mileage, speed work and recovery to successfully not only complete my 2 marathon in 13 day commitment to honor my good friend Dom’s battle with cancer, but I plan on making it known I was there. It is one thing to complete and yet another to compete. I fully expect to do both. 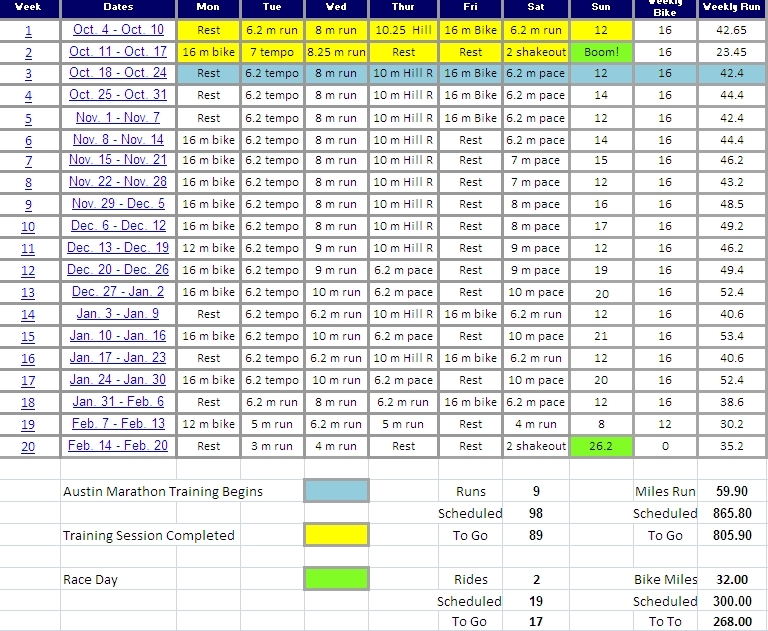 Instead of using a traditional 18-week training plan leading up to race day, I am using a modified 16-week schedule leading up to Boston with a full 18-weeks to my second marathon in Pittsburgh. In some ways the Boston Marathon is actually serving as my third “20-miler” followed by a second taper (recovery) period that will get me to the start at Pittsburgh hopefully physically and mentally ready for another 26 mile 385 yards less than two weeks later. Currently Monday, Wednesday and Friday serve as my “doubles” where I strength train after my cycling or running workouts. The lone exceptions are my Monday rest days scheduled after very long runs or any racing I may be doing. On these Mondays I rest completely from running or cycling but I still make sure to get my weight training in. I have reduced my run days from a traditional 5 times per week down to 4 so that I can avoid running on back to back to back days mid-week. This has allowed me to reduce the pounding on my now 42 year old legs by about 5 miles per week, but in its place increase cross training on the triathlon bike. These cycling workouts are allowing me to build strength and power in my quads and calves to be ready for the rigors of the Boston marathon course, while reducing the risk of training injury. When comparing my workouts to last year when I utilized a traditional 5-day per week training plan I have taken between :04 and :06 off of my average mile splits at distances over 12-miles and :15 to :18 off of my average mile splits at distances 10K and less. All on legs that are a year older. I think that there is something to be said about running smarter and with great purpose during each workout. Currently I am trying to really zero in on quality workouts and not just padding my mileage stats for the week. For comparison purposes I have included my 5-day per week marathon training calendar that I used one year ago when training for the 2009 Pittsburgh Marathon. The lesson here is don’t be afraid to take a plan that is widely accepted and make some changes to it. Listen to your body, chart your performance and realize that backing off of a run, skipping a workout, adding a rest day or incorporating fast finigh long runs can all prove very beneficial in your training. It’s not only about logging miles. They need to be quality miles to get you where we all want to be in the end – toeing the starting line in peak condition, mentally and physically prepared and most importantly – 100% healthy. The training schedule that I am using today is really just a combination of the key elements from great resources like Hal Higdon, Greg McMillian and the FIRST program from Furman University. 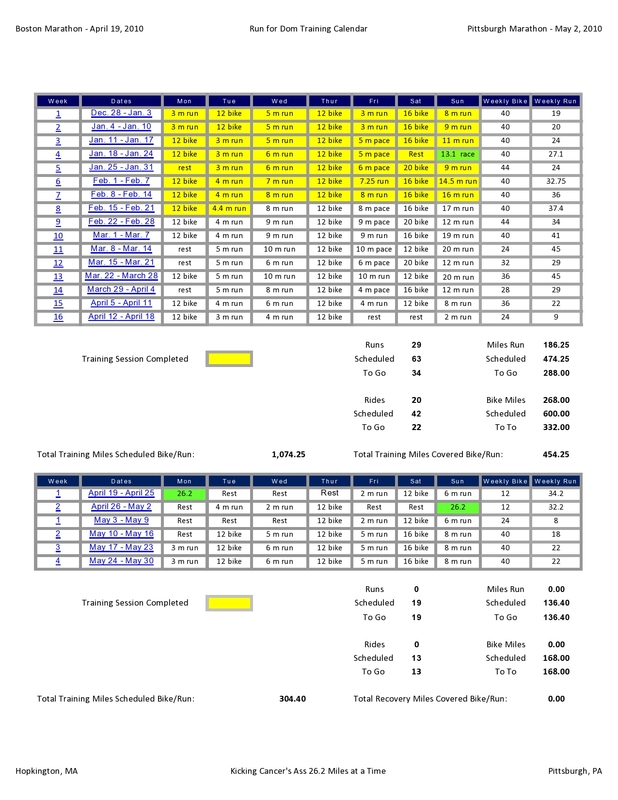 If you would like the excel version of these training plans, please e-mail me directly at joe-runfordom@austin.rr.com and I will send you a copy for you to have as your own. Thanks for visiting everyone, here is to happy training!